Celebrate the opulence of the season with the winter botanical collection. 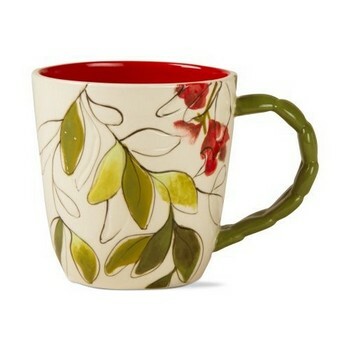 Hand painted pomegranates adorn this mug. Sculpted handle makes this mug unique.